Here at EDM Sauce, we love to bring you exclusive premiers of music from around the world. 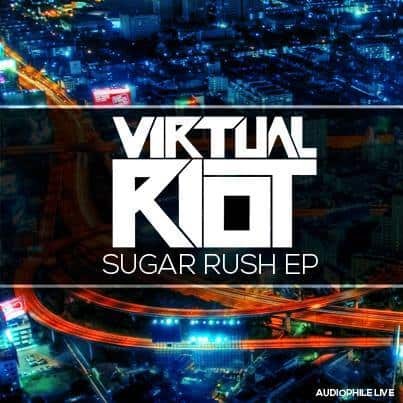 Today, we bring you the first look at Virtual Riot's new EP entitled ‘Sugar Rush'. This fantastic EP features two tracks that are sure to keep you listening on repeat. The first track is titled ‘Sugar Rush' and has an extremely uplifted sound that urges you to dance. Not soon after you start to feel the bass, but don't let that distract you from the beautiful melody. After another buildup the track drops again to a complex rhythm of synths and bass that captivates it's listeners. The second track, entitled ‘Where Are You' is another uplifting, happy complextro infused track. This track however was produced by Virtual Riot as well as Sub.Sound. This song has perfectly placed vocal cuts along with tribal sounds that seem to mend perfectly with this song. Both of these tracks are a must listen and can be found at the conclusion of this article. Virtual Riot is a young producer from from Germany who may not be as well known by his name Valentin Brunn. His new EP has released though Audiophile Live and Mr. Jimmy Freer, co-owner and Record Label Manager at Audiophile Live, has taken the time to talk to us about this fantastic new release, as well as what the future holds for us for Virtual Riot and Audiophile Live. “This release is a real kick starter into the overall picture of what Jacob and I have visioned since the creation of the label side of Audiophile Live,” Mr. Freer exclaimed about these two new hit tracks, “we do love bass music of all sorts complextro is our absolute love.” Mr. Freer also continued on, stating that for the past few years the art of complextro has been hidden away. However, with artists such as Knife Party, this style has been increasingly popular. At Audiophile live, many artists are skilled in the art of complextro. Last month, Modern Dealer released their EP entitled “Another Disco” with Audiophile Live which was also in the same musical style. A question that may be raised right away about this EP is “why is it only two songs?” Well, Audiophile Live did answer this question for all of us. “We really wanted to get remixers on the original package,” he begins, “but due to time we decided to push a remixer package out until a later date.” Although we aren't sure when exactly this remix pack will be available, we have been told that we can expect Barely Alive, Sawgood, Kick The Habit, E-Cologyk, Auvic, Minesweepa, and Embrace One to all be featured in the remix set! Also within the future, Virtual Riot is planned to collab with Auvic on his 23 track album on Audiophile Live sometime next year. Mr. 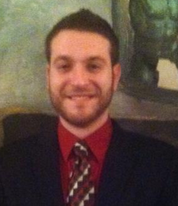 Freer also noted that he would like to see Virtual Riot have a collaboration PrototypeRaptor who is a recent graduate of Oklahoma University. Tell us what you think about Virtual Riot's ‘Sugar Rush' EP below in the comments and make sure to grab the full tracks on October 14th!